2) Marinate in half soy sauce and water... Or whatever marinade you fancy. Tofu is dense so the longer you marinate it the better. 30mins-all day. 2) Roll in nutritional yeast ( found at most health food stores)... This gives it a nutty crispy taste. 3) Crisp in frying pan using 1-2tbsp of oil (I like non-gmo canola or coconut oil). Lightly pan fry until crispy on both sides. Voila! 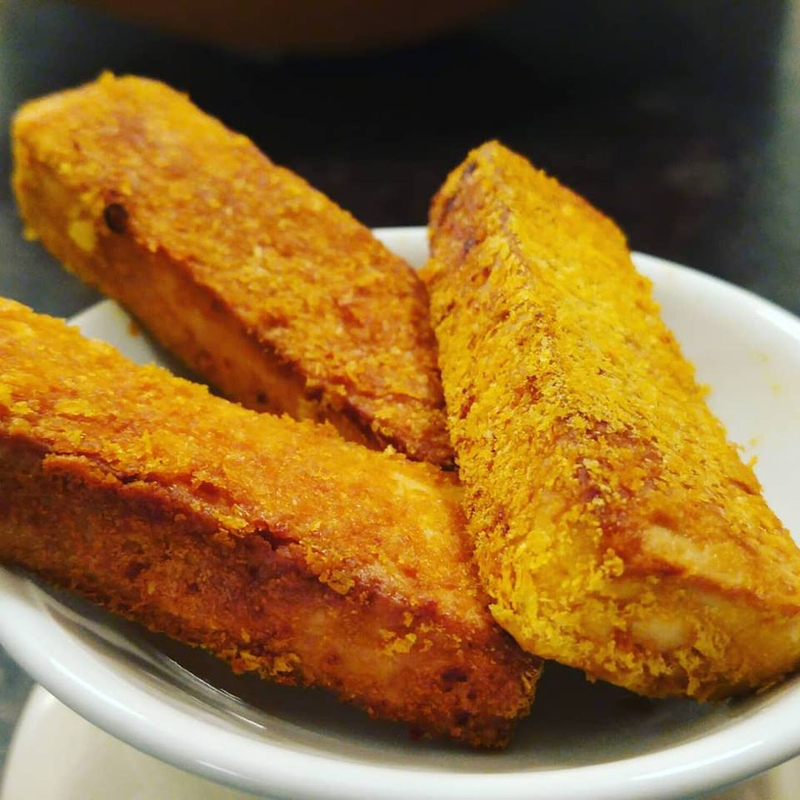 You have KitchenerFriedTofu... Great in a sandwich, stir-fry or with a bowl of soup or as an app with a bit of soy sauce and lemon to dip! 1. Heat oil in large saucepan over medium heat. Add turkey and cook, breaking up well with a wooden spoon, until no longer pink ~ 5mins. 2. Add sweet potatoes, onions & garlic and cook stirring frequently for 5 mins. Add spices and cook for 1 minute. 3. Add the tomatoes w/ their juice and the broth. Bring mixture to a simmer, cover and cook for 10 mins - stirring occasionally. 4. Stir in the beans and simmer mixture until the potatoes are completely tender and the chili has thickened about 20 minutes. Season to taste with salt & pepper. Garnish with sour cream, shredded cheese &/or fresh cilantro. 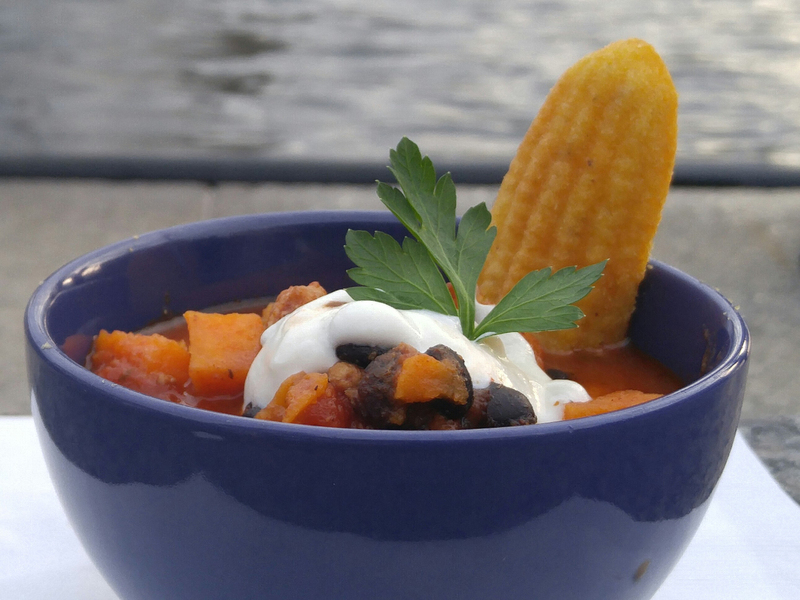 Serve with your favourite bread or cornbread.